When it comes to your safety, and that of your loved ones, there should never be any compromise. Reliable car insurance, seatbelts that are in working order and functioning airbags are some of the no-compromise areas in a car. Since they were first installed in vehicles back in the 1970s, airbags have become a compulsory safety feature for all motor cars, saving the lives of countless drivers all over the globe. What’s popping? Airbags are most commonly installed in the dashboard of your vehicle, on the sides of the vehicle, or in the steering wheel itself. Along with the airbag, a number of sensors are also installed, not just to detect the state of the vehicle but also to detect the need of an airbag in the event of an accident. If they detect that a collision has occurred, the airbags will deploy immediately, filling up with gas for approximately 0.2 – 0.5 seconds before slowly starting to deflate, cushioning you from the impact as a result. Once airbags have been deployed, it is essential that you have them replaced by a qualified mechanic. Do I have to maintain them? As much as we may be tempted to quickly say no, we have to whisper a yes. Airbags require very little maintenance - you simply have to keep an eye on the warning lights on your dashboard – and ask for them to be checked during routine maintenance. If you notice your air bag warning light is on, contact your service agent immediately and get your vehicle checked out. What about the kids? When it comes to your little ones, the safest thing to do is to buckle them up safely in the back seat. Even as they grow older, encourage a lifestyle of buckling up. Remember, you should never place a rear-facing child-safety-seat in the front of the car as it will be too close to the airbag and can cause severe injury, or even death, when deployed. Do I have to activate it? You may not have to press a specific button, but you do have to click something – your seatbelt! Nobody should ever ride without a seatbelt, even more so if your car is fitted with side airbags. Seatbelts are essential for passengers, whether they are sitting in the front or the back seats. You can also ensure the safety of your passengers as a driver by ensuring that your car is equipped with functional airbags. 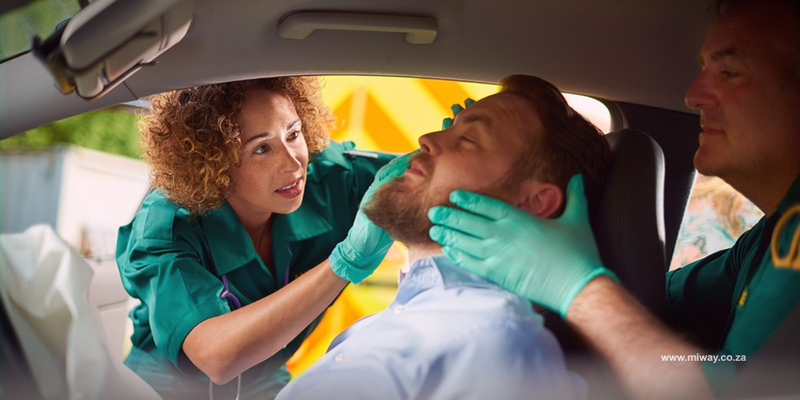 While seatbelts and airbags may save your life in a car accident, having comprehensive car insurance will save you from the financial frustrations and give you peace of mind that you’re not alone. Call us today!